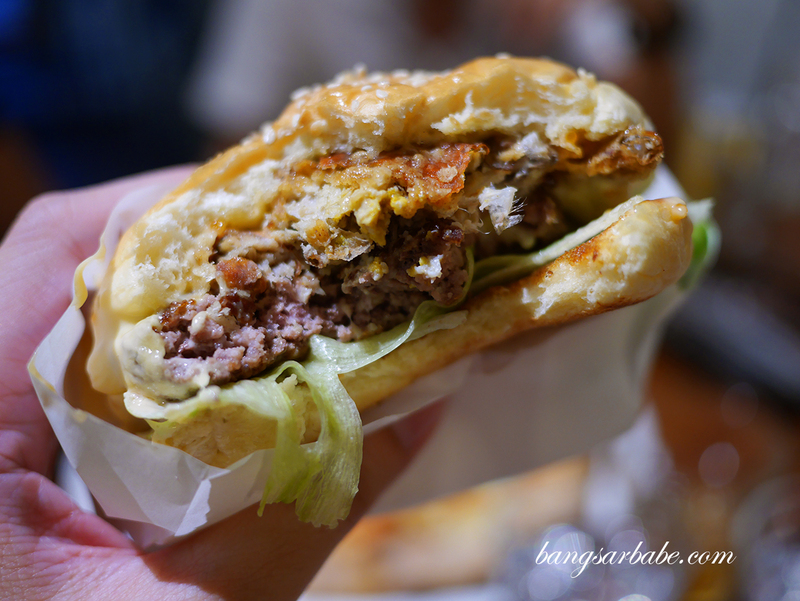 Patty & Pie in Aman Suria offers a decent range of burgers and pizzas made from scratch – an outlet both rif and I have been wanting to try since they appeared on our food radar months ago. 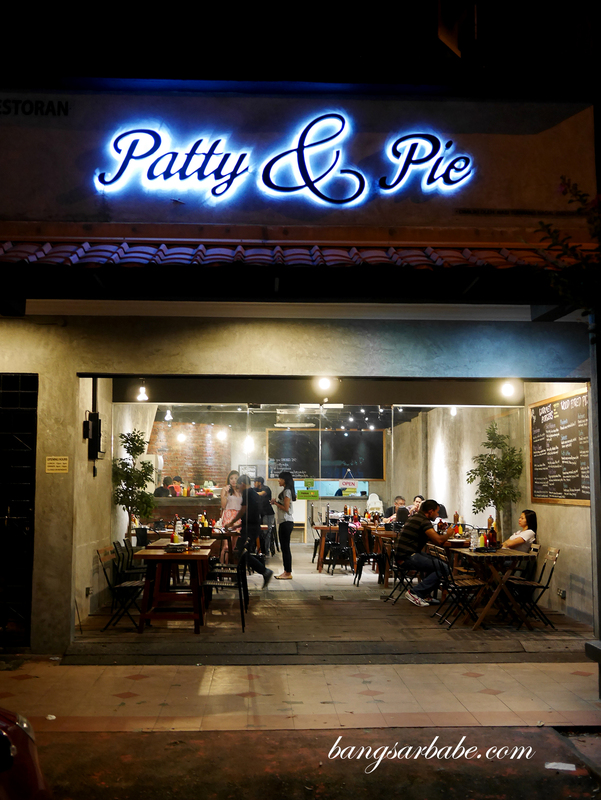 There is no pie at Patty & Pie; the name “patty” stands for burger patties and “pie” is a slang for pizza. But why bother about the non-existence of pie when they serve pretty good pizza? 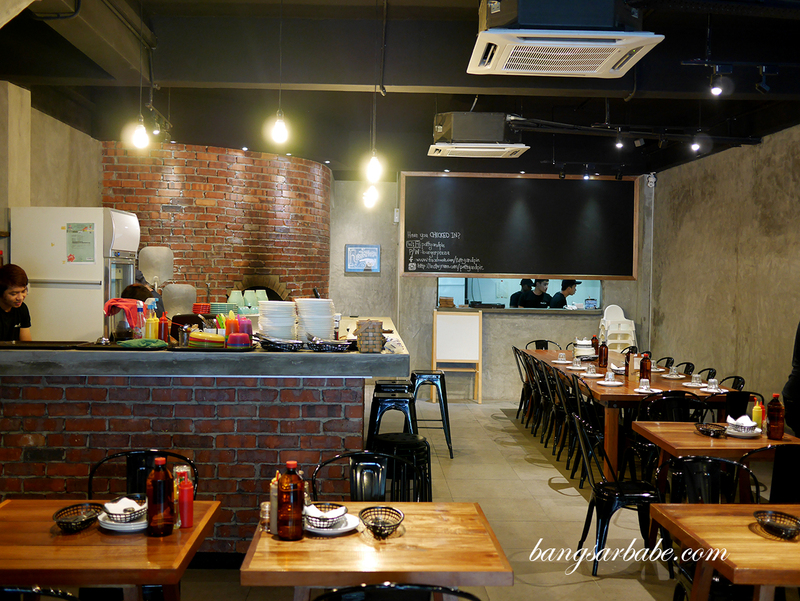 Patty & Pie’s pizzas are baked in a wood-fire oven for a smoky aroma and delicious crust. I was told the oven is brought in from Italy to ensure the pizzas are as authentic as possible. I wouldn’t say it’s like the ones we had in Rome, but it was good. 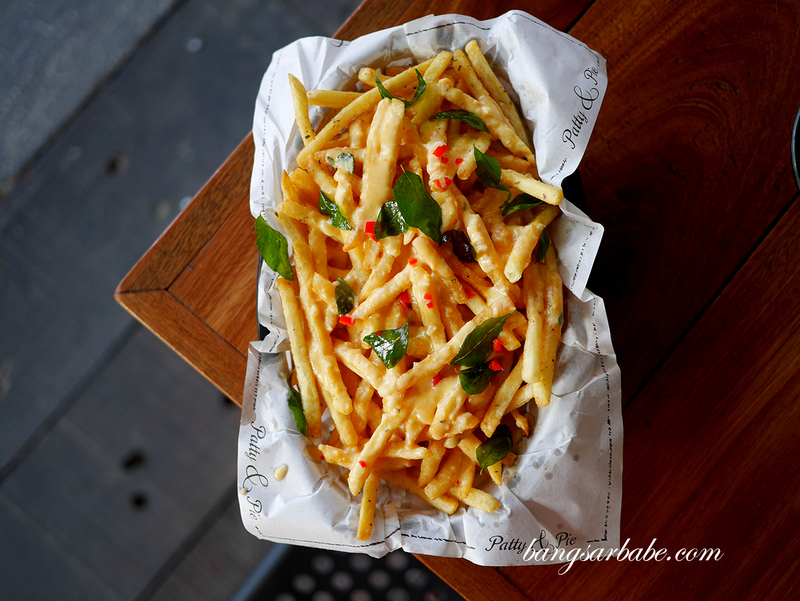 Smoky aroma and a denser pizza base — good stuff! 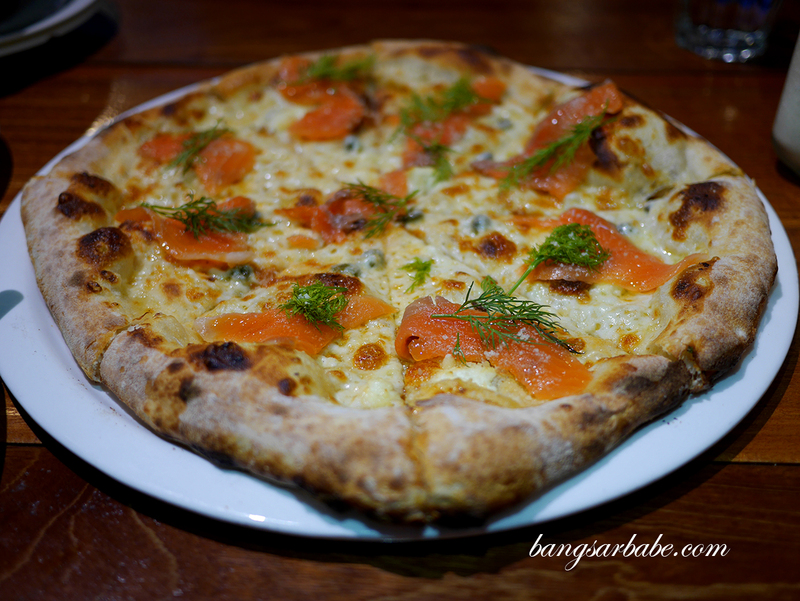 There’s a nice chew to the pizza base and I liked how well the smokiness pairs with the salmon and capers. The pizzas come in either 10-inch or 14-inch so they are perfect for sharing. 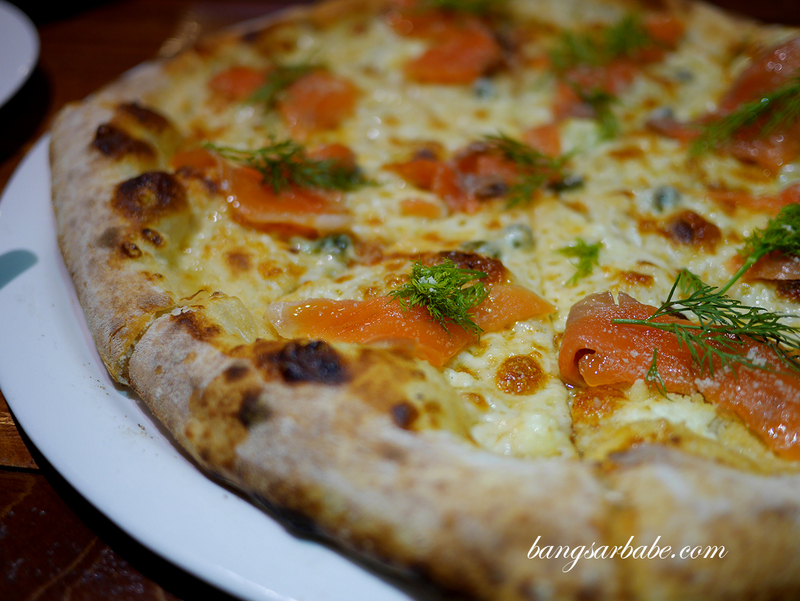 My Salmone pizza has a combination of ricotta, mozzarella, white sauce, capers and smoked salmon – rich but well balanced so this wasn’t overly cloying. 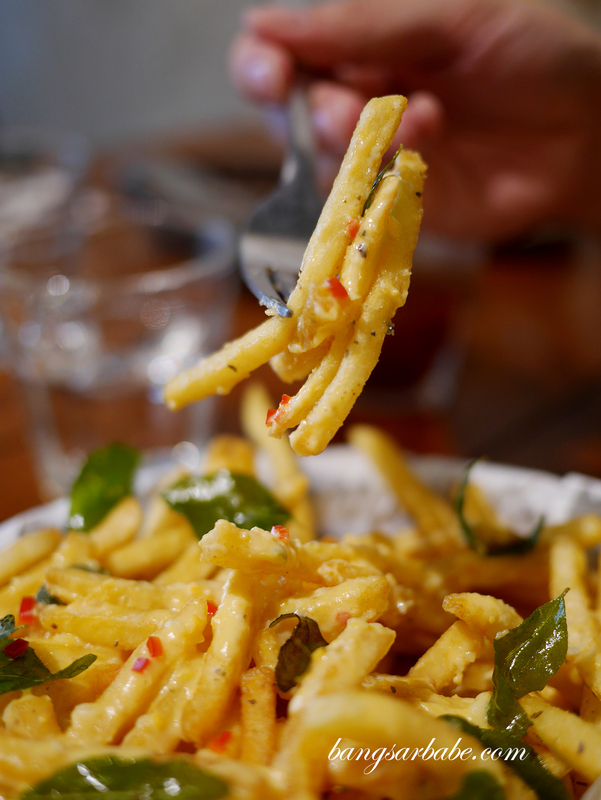 Patty & Pie also serves salted egg yolk fries (RM10) where the shoestring fries are coated in salted egg yolk sauce and topped with deep fried curry leaves for oomph. 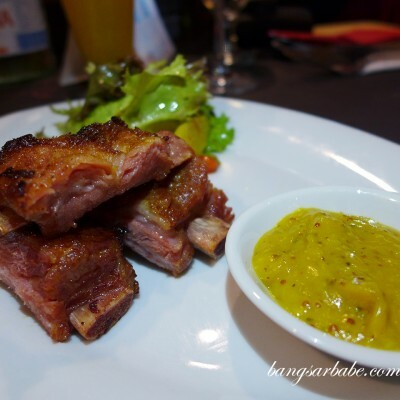 This was just average for me, as the flavour of the sauce was quite watered down. 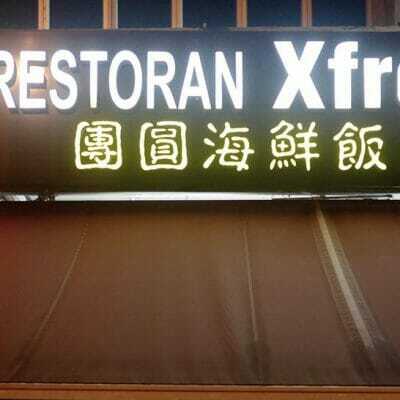 It could be a kitchen issue as I was told the fries are usually quite good. 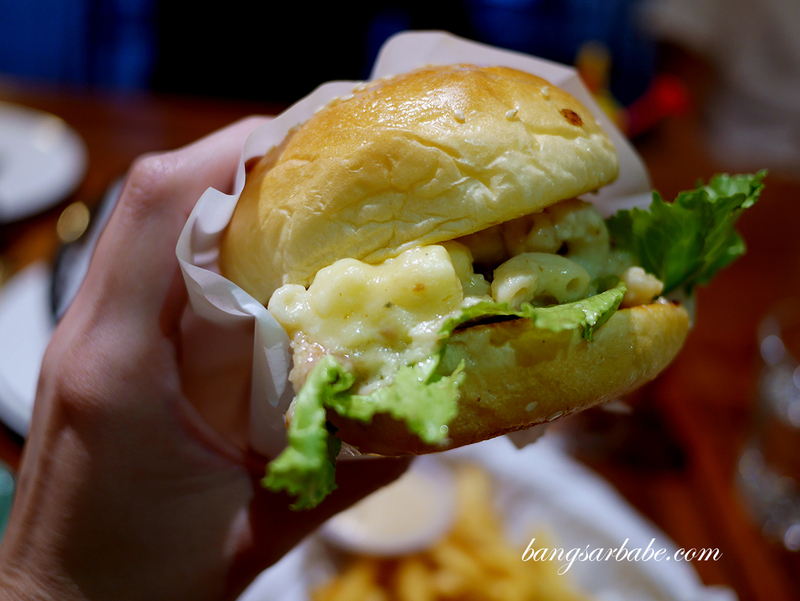 rif tried the Mac ‘n’ Cheese (RM22) where the patty (there’s a choice of beef, chicken or falafel) is topped with a mixture of macaroni and cheese and finished with house special sauce. It’s a popular favourite and a classic I reckon. A bit messy to eat but no one’s judging. I ordered the Oishii (RM26), an oriental take on burgers where my patty comes with deep-fried soft shell crab, tobiko mayo and cheddar. It was not bad, but I feel some “zing” would be nice to offset the richness of the crab and tobiko mayo. I would like mine with some wasabi to kick things up a notch hehe. 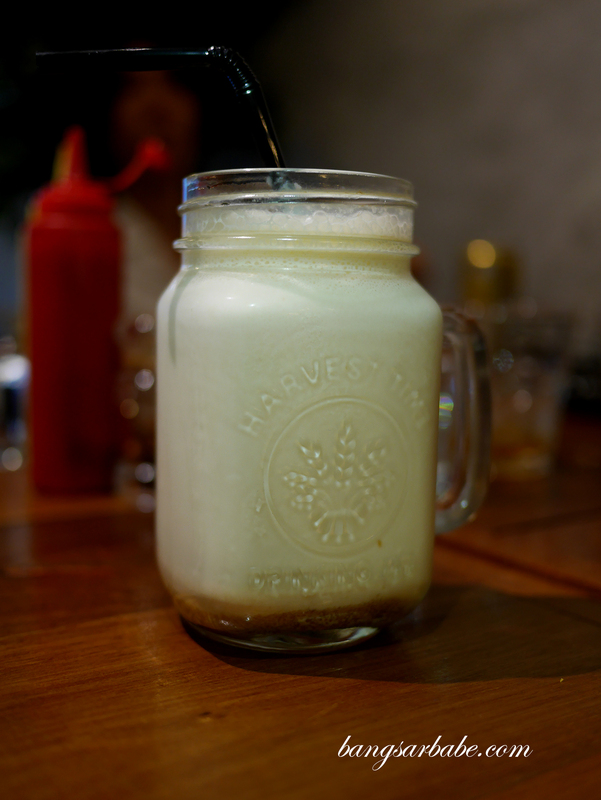 The Salted Caramel Milkshake (RM15) was more diluted than I like it to be. 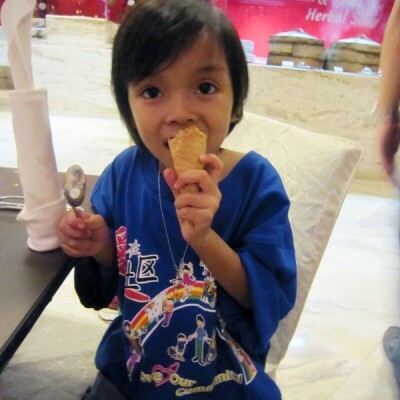 Probably due to the quality of ice cream and milk we get here, but taste wise, it was alright. 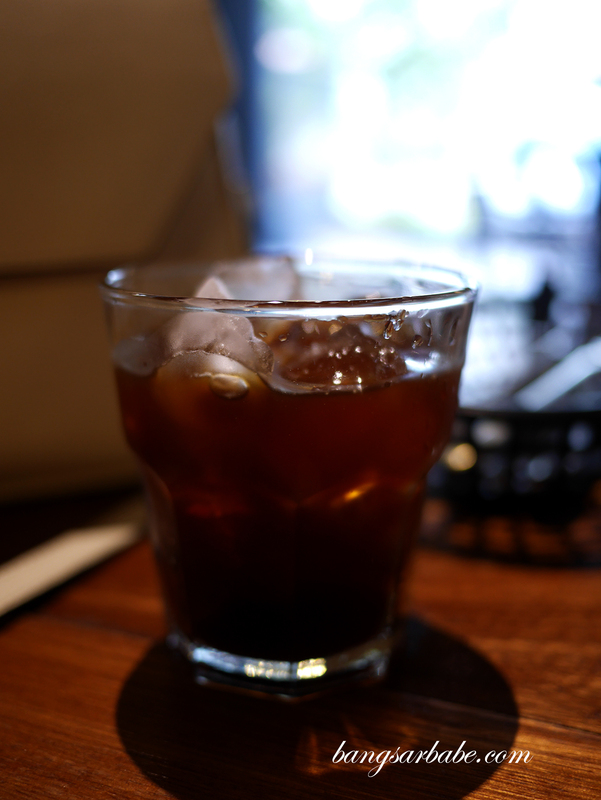 Coffees need improvement here – I was there before my friends arrived and ordered an iced flat white (not in photo), which tasted like cold milk rather than coffee. 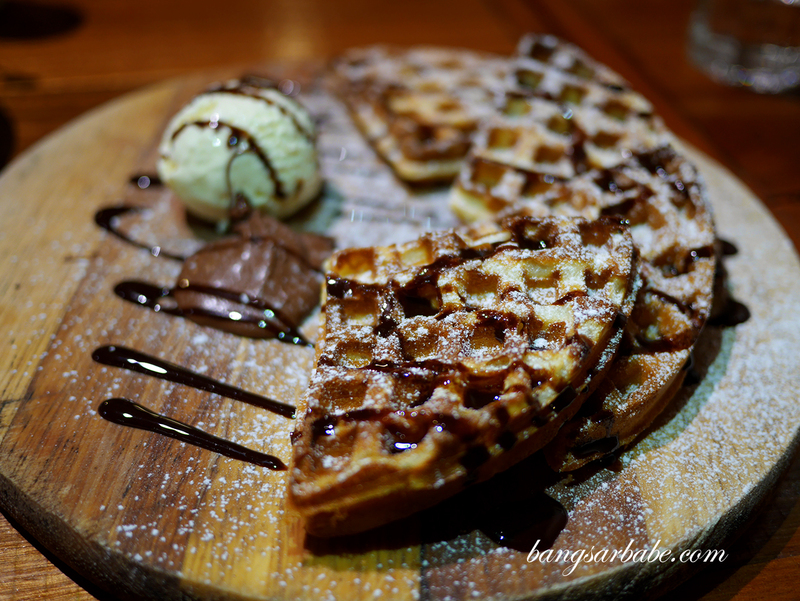 I didn’t care much for the waffles (RM15) which came with Nutella and vanilla ice cream. This was a tad on the hard and chewy side, but not like the Belgian kind either. The dessert pizza would have been a better choice, I reckon. Verdict: The pizza is good and the burgers though not the best I’ve eaten, have substance.